Allows air to enter to break siphon, but does not permit air and odors to escape! 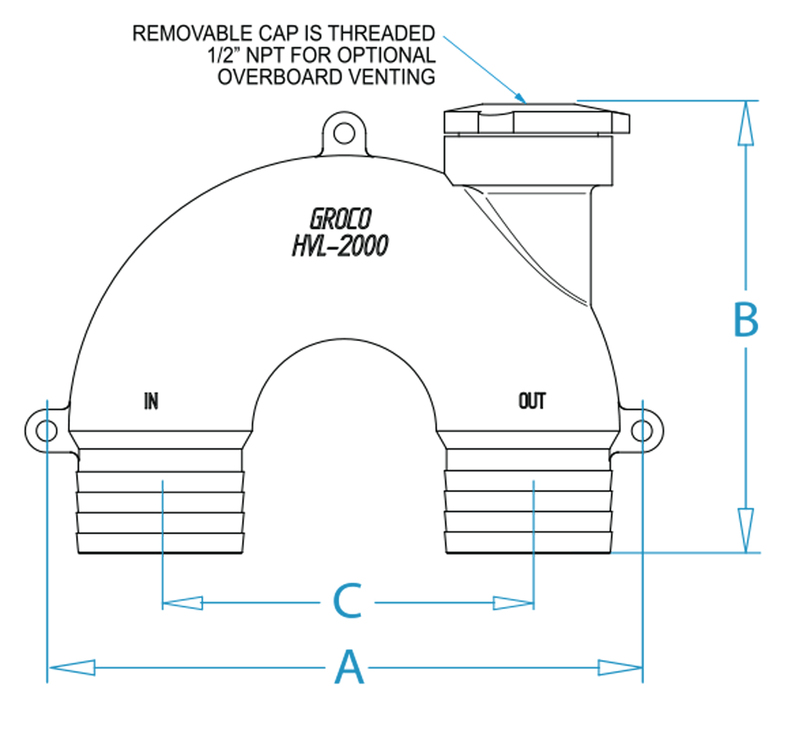 Cap is threaded 1/2" NPT to accept a barb fitting if you wish to vent overboard. Overboard venting is required if PVL or HVL series is used in an exhaust system. HVL and PVL series vented loops assure clog-free anti-siphon protection for sanitation or engine exhaust systems. 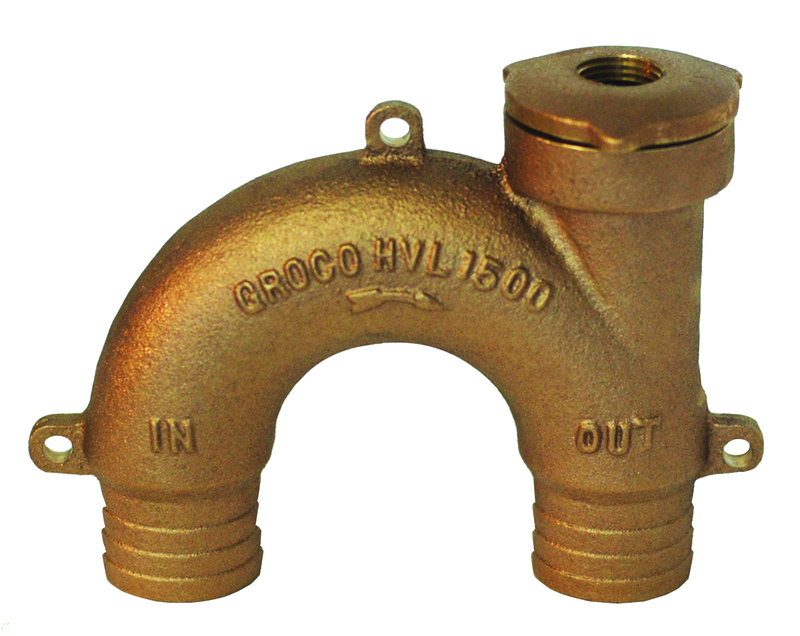 The oversized vent valve can easily be removed for inspection or cleaning without tools.